Full lace wigs can be restyled in any perceived hairstyle a wig wearer desires. Based on the well crafted full cranial lace material wig cap construction. Each full lace wig cap construction is capable to restyle through free-style parting attributes in the lace wig cap craftsmanship. Simply parting the hairs in any direction, to making trendy and fashionable hairdos. Any wig enthusiast will be pleased in restyling options in full lace wigs, without being stuck in a rut with a wig they cannot restyle to their desired requirement. Variety in Full Lace Wig Cap design: Another benefit of getting full lace wigs is the wide range of wig cap designs. From Silk Top Lace Wigs ,Glueless Full Lace Wigs and also the Full Lace Wig with Thin Skin Perimeter wig caps preferred by women with circumferential hair thinning. The best advantage women can grab is that they can make their hair longer by attaching their lace wigs along the hairline and create different hairstyles and can match their desired designs with their allover appearance. While having shorter hair, the opportunities to restyle is virtually endless. With Gluesless wigs, which has become a favorite among women who want stylish hair without the requirements of any messy attachments with wig glues. Glueless lace wigs are crafted just as Full Lace Wigs with a few distinct variations. The interior wig cap comprises of adjustable strap to ensure secure and snug fit placed in the back of the wig, and a ribbon in front which runs along the perimeter of the hairline. Followed by four (4) combs ,which the wig wearer can slide under their braided natural growing hair for more secure feeling. 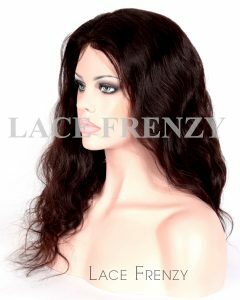 That is why so many ladies choose the versatility of the full lace wig craftsmanship, for the most appropriate freestyle lace wig that will appeal to their desire to restyle the wig in several different hairdos for several different event appearances. Wig wearers can change from one hairstyle to the next with the freestyle parting options of the full lace wig cap design. Hair Density can be a factor only based on the desired volume a wig wearer desires but keep in mind neither any lace wig or hair extension hair systems should look extensions. You want a very authentic looking hair system at all times. 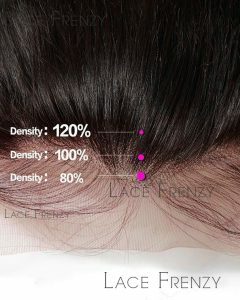 Hair Density simply means thickness / fullness of the lace wig . Many women are wearing too high of Density Lace wig leaving the hairs look overwhelming at the hairline and not complementing their facial structure . 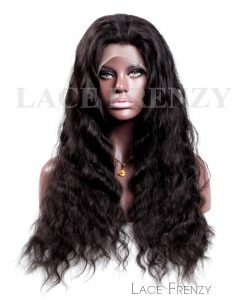 Lace wigs are handmade, hand-tied and mostly double knotting for durability and longevity of the wigs hair follicles. 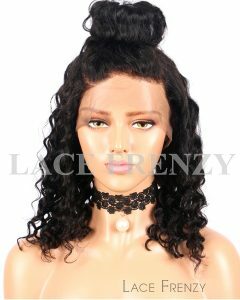 As much as these techniques are done when you purchase your lace wig , one must take considerable care and re-frame from excessively pulling and tugging of the hairs. Understanding hair density is simple and seeing how it’s graduates from hairline to nape is easy to understand. 2. With several wig cap construction any wig wearer will feel confident with the ease of wear. 4. 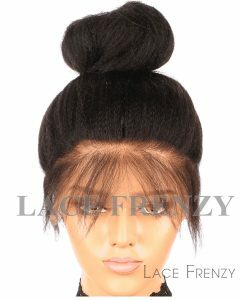 Baby hairs along the perimeter of each wig- gives the wig wearer the confidence of undetectable wear. Full Lace Wigs are a popularly demanded wig and has taken great spotlight in the fashion industry through admired celebrities and singers. Lace Wigs are not much of a well kept secret these days these lace wigs are available for all age groups, hair textures and in all wig cap sizes. So achieving the desired flawless appearance with full lace wigs is capable. This entry was posted in 360 Frontal Wigs, Custom Celebrity Lace Wigs, Full Lace Wigs, Glue less Full Lace Wigs, Glueless lace wigs, Hair, Human Hair Wigs, Silk Top Full Lace Wigs, Thin Skin Perimeter Wigs, Virgin Hair Lace Wigs, Wig Knowledge and tagged brazilian hair full lace wigs, Full Lace Wigs, Glueless Full Lace Wigs, human hair full lace wigs, indian remy hair full lace wigs, virgin hair lace wigs.